Do you want to improve your clients product? Has the process optimization (operational excellence) not brought the desired quality or do you feel that further optimization is no longer possible or is not possible? Is test automation not the ‘silver bullet’ that was promised? Than it is time for Next Level testing. We offer a customized program were we take teams to the next level in quality and testing. For this we have developed a program in which we can include teams regardless of their current level. We start with an investigation(Agile Test Scan) of the company, the culture, the processes, the teams and the people in it. 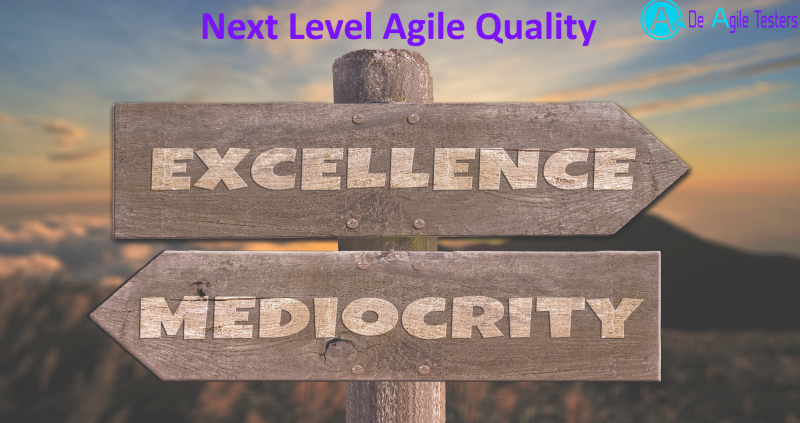 Then follows a customized workshop ‘Next Level Agile Quality for teams’ in which we create awareness in the quality and the role of the entire team. The next step is that a few ‘quality enablers’ (mostly the testers) of the team are assisted to facilitate the quality. 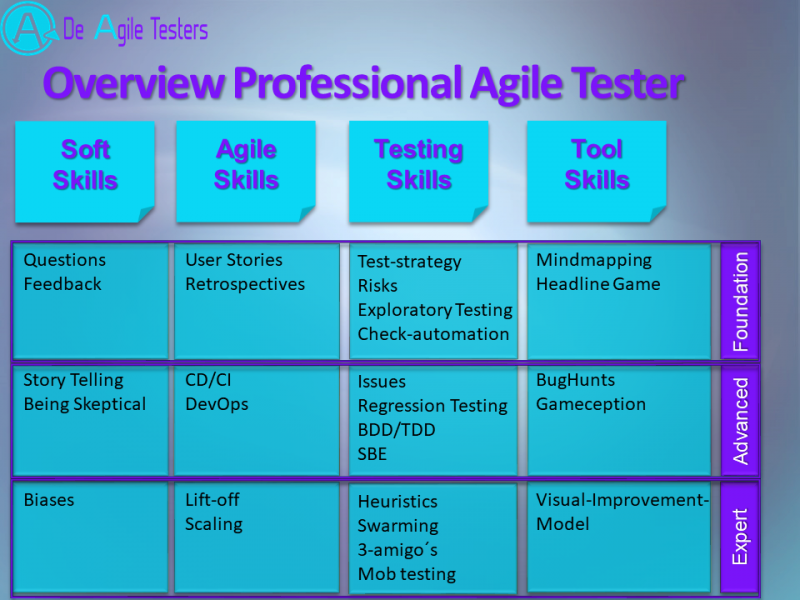 We do this through our ‘Professional Agile Tester’ training. 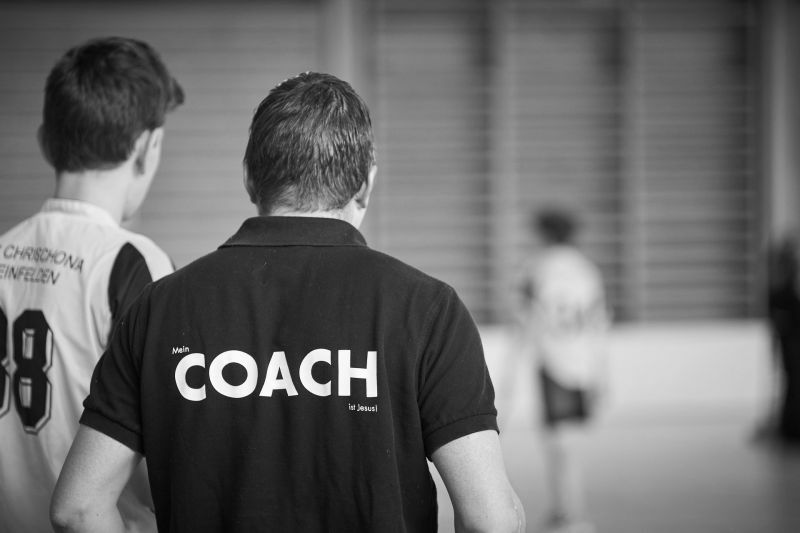 The last and most important step is that we coach the team by taking part as an active team member and helping the quality enablers to put the theory into practice. In the real world the environment is more complex and contains many and complicated situations than we can practice in the training. 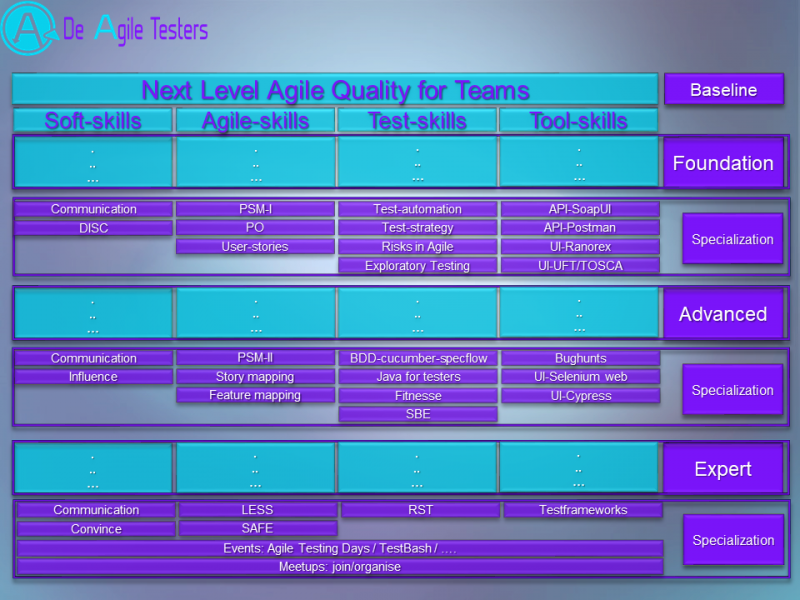 The solution is customized and aligned to the current agility level, the test quality and the skills and possibilities of the employees. This is a guarantee for a solid knowledge base within the company and ensures that the knowledge is optimally developed, retained and expanded within its own employees. Yes. 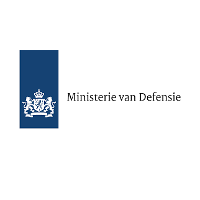 Currently we are implementing this solution at MN retirement services and Ministry of defense. Many other customers have serious interest in this solution.